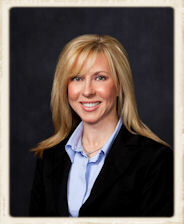 Amy A. Perry - Senior Partner, Certified Mediator/Qualified Arbitrator | Pleat & Perry, P.A. From 1991 to 1992, Ms. Perry practiced in Atlanta, Georgia as an Estate & Gift Tax Attorney with the IRS. From 1992 to 1999, Ms. Perry worked at the IRS in the Atlanta Office of Chief Counsel. There she litigated cases on behalf of the IRS before the United States Tax Court, worked on criminal tax case referrals to the Department of Justice and gave advice to the IRS on collection matters. Ms. Perry relocated to Florida in 1999 and was admitted to the Florida Bar that same year. Ms. Perry's primary practice areas include litigation, real estate, condominium law, business law, personal injury, and corporate law. In addition to being a member of two state bars, Ms. Perry is also admitted to practice in two federal district courts. She is a member of Georgia Bar Association, the Florida Bar Association, the Condominium Association Institute, and individual county bar associations.